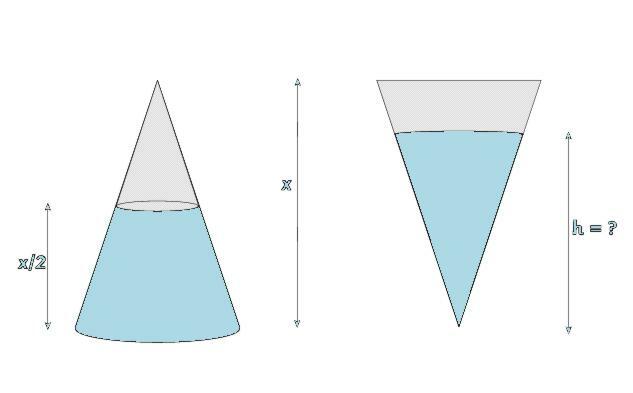 A right circular cone is filled with liquid to a depth of half its vertical height. The cone is inverted. How high up the vertical height of the cone will the liquid rise? Calculating with ratio & proportion. Volume and capacity. Maths Supporting SET. Biology. Spheres, cylinders & cones. Non Euclidean Geometry. Enlargements and scale factors. Fractal. Chemistry. Similarity and congruence.